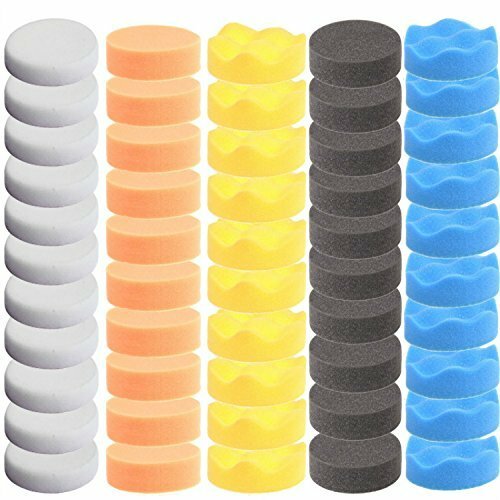 View More In Buffing & Polishing Pads. （2）with the polishing liquid (paste, powder) used in conjunction with the surface to be polished to achieve better polishing effect. （3）polishing before the procedure can handle the traces. 1.Shake well before polishing agent force, in order to maintain a good effect. 2.all polishing discs should be cleaned before use, smooth, to ensure that no residual in the particles. After use, they should immediately be cleaned, dried in the shade. 3.the operation must be operated indoors and avoid falling sand paint cause scratches. 4. When using the polishing machine, you should avoid prolonged stay in the body angular position, so as not to throw paint exposed. 5. Note the safe use of abrasive polishing machines. ▲CAN USE FOR A LONG TIME: easy to replace,Individually polished direct use,good toughness, wear resistance, regular waxing and polishing set up a protective barrier against hostile attacks so as to protect the furniture and vehicle, All pads contain grip (hook & loop) attachments. ▲MORE COMPREHENSIVE: different colors and different size various surfaces, a variety of pads for your choices,Cut and Buff the most difficult oxidized automotive coatings, hardest clear coats and color sanding scratches, then polish the finish to bring out the highest level show car of shine. If you have any questions about this product by ZFE, contact us by completing and submitting the form below. If you are looking for a specif part number, please include it with your message.